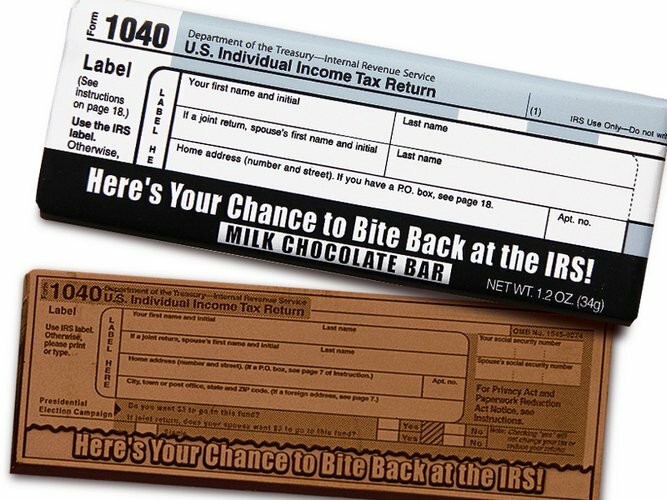 IRS 1040 Chocolate Wrapper Bars - Help your clients survive Tax Season! 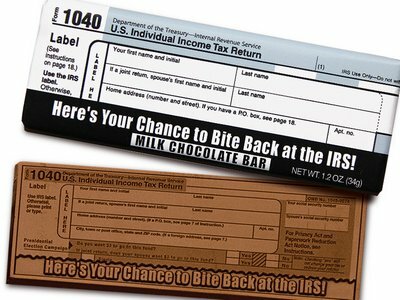 Each 2" x 5" Belgian milk chocolate bar is packaged in a 1040 Form wrapper with matching artwork engraved in the chocolate bar. Each bar weighs 1.2oz.